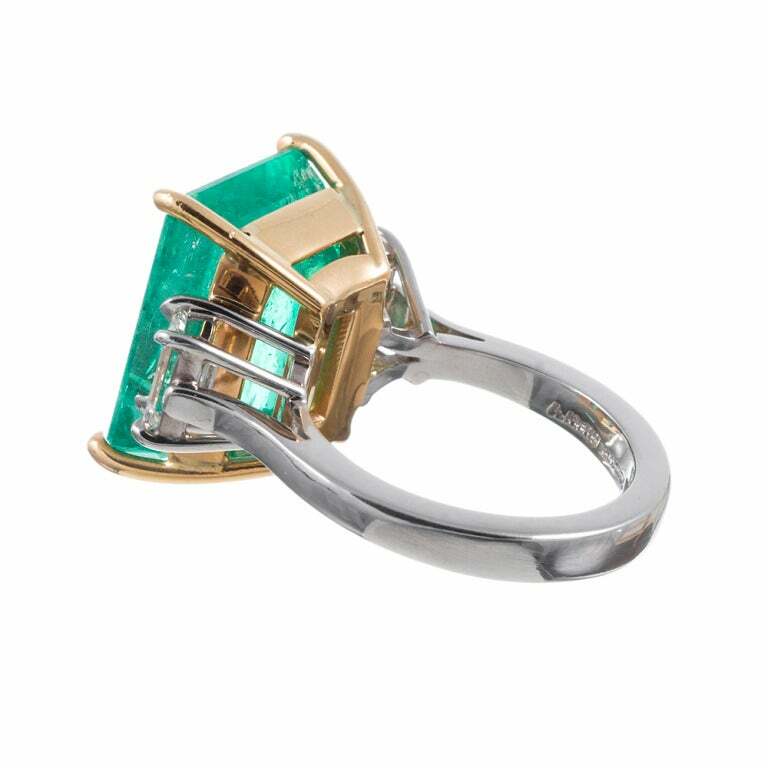 An eye for detail: After several generations creating fine jewelry originating in Naples, Italy, it's not surprising that this three-stone emerald cut ring by Aletto Brothers stands out above the rest. 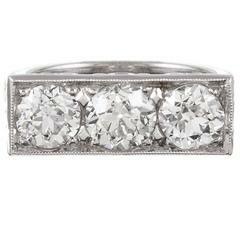 The stones incorporated are perfectly suited for each other. All three have great cut, with well defined steps that mimic each other in spacing of those steps. 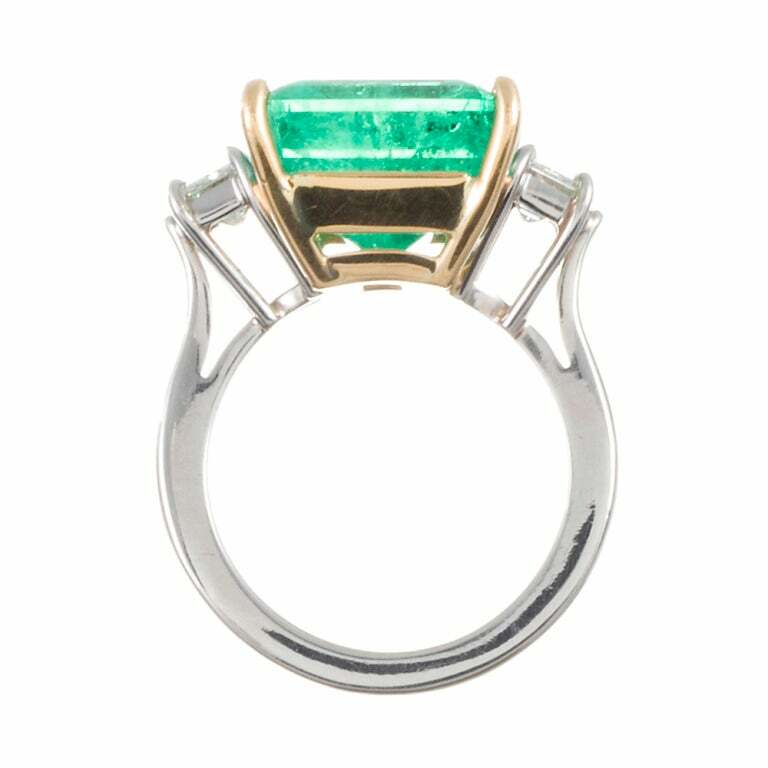 In particular, the diamonds on either side of the center emerald perfectly mimic each other and create symmetry in their color, cut and proportions and measures 1.26cttw. 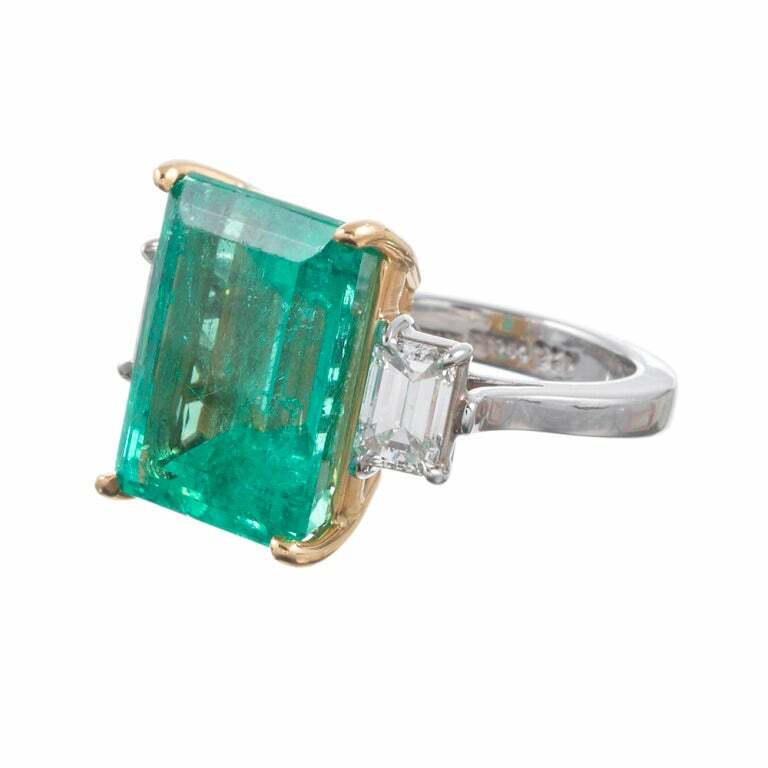 The center emerald is stunning, light in tone and beautifully cut, measuring 12.43cts. 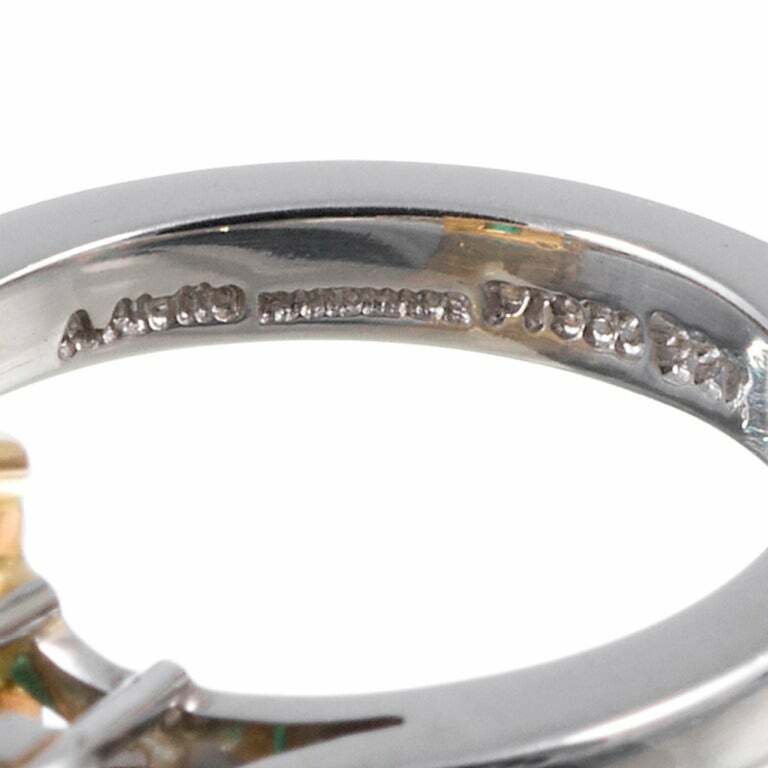 It's a design that has been created throughout antiquity, but done to perfection by these generational master jewelers.